Communicate More Effectively with Your Employees, Customers, and Partners. Maintain an ongoing, effective dialogue about projects, clients, and internal processes with Communifire. Communifire unites your organization's messages in one easily accessible place. How well does information permeate throughout your company? Are there barriers to communication, missed messages, or time-consuming tasks complicating your workday? As CEO of your organization, it's your responsibility to ensure both internal and external stakeholders communicate effectively. Communifire's corporate communications software does the heavy lifting for you by creating a digital environment in which your employees can effectively communicate with each other. Don't allow productivity to suffer any longer; internal communications software from Communifire guarantees that everyone in your organization stays on the same page wherever they are. Learn about Communifire's innovative communications software designed with your company's needs in mind. Experience internal communication like it was meant to be – seamless. Clearly outline company procedures, processes, and goals using customizable Wiki pages. Administrators can control permissions, access, and publishing rights, ensuring content is accessible to those who need it most. Create a forum that encourages the exchange of ideas within Communifire's communication software platform. Upload and share videos, develop photo albums, or use the social intranet to motivate employees to collaborate. Ensure business-critical messages are delivered to your entire organization, a specific department, or one employee with a sophisticated digital announcement system. Never worry about your message being delivered again when using Communifire's corporate communications software. Expedite cross-training between departments or management with Wiki pages and in-depth articles while encouraging employees to contribute to the process. Develop role-specific criteria, processes, and documents to simplify the training process. Customize communications with the use of hashtags to create a searchable database of topic-specific conversations. By incorporating familiar social strategies, your organization inspires employees to join in the conversation. Publish photo albums highlighting a new product, recent event, or departmental all-stars without wasting time and resources. Easily shared with all employees or a select group, photo albums communicate ideas in a visually appealing manner. Rally your employees around an idea or initiative with company announcements and casting calls. Use corporate communications software to disseminate updates, ask for volunteers, or announce a new project or product. Allow employees to start a digital conversation amongst each other with articles and blogs. Delve into process-related topics, highlight best practices, or encourage increased productivity and collaboration. 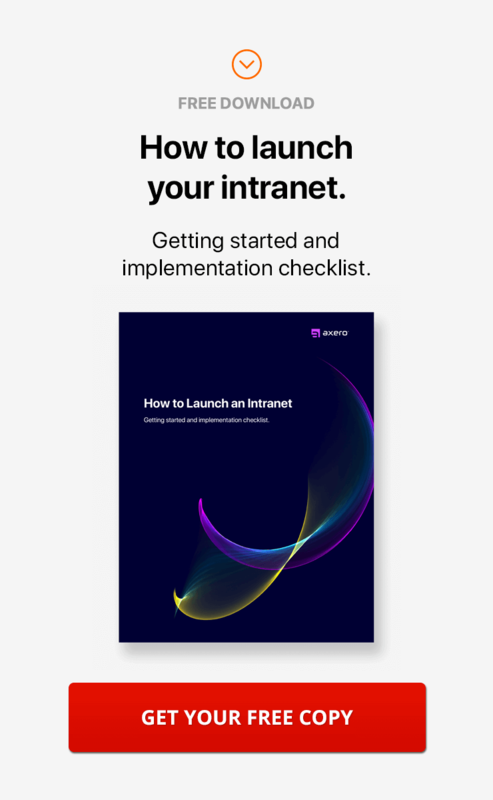 Use Communifire as your social intranet, which implements social features, such as likes, comments, and sharing, to empower employees to stay connected with the information that matters most. Because Communifire's software incorporates familiar social networking features, getting your team on board is hassle-free.